Descant to the hymn tune ST BOTOLPH. 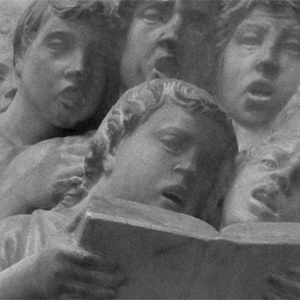 Audio: hymnal verse - harmonized descant. Free score. Henry Alford was a cleric and academic - and an omnivorous learner - who held clerical posts in the Church of England, but also ventured into poetry, illustration, and publishing. The best regarded of his works are his translation of Homer, and an eight-volume Greek New Testament with comparative texts. His clerical trajectory began with a small vicarage, traversed a significant rectorship with a large congregation, and reached its apex with his appointment as dean of Canterbury cathedral. The author of We walk by faith, and not by sightwas renown as a preacher, and produced many hymns of an evangelical nature, some of them still well known today ( Come, ye thankful people, comeis one notable composition).